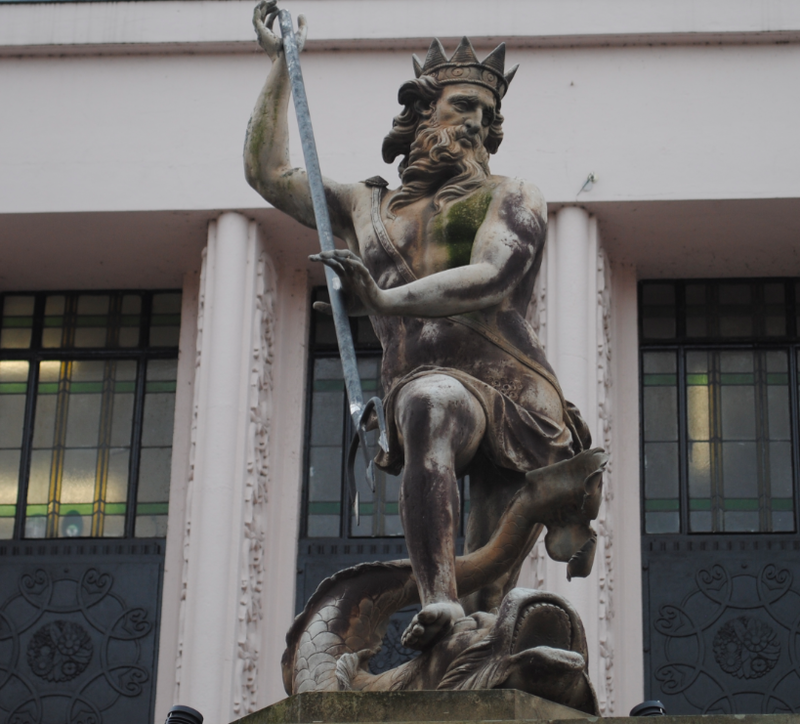 In Market Place in Durham centre stands the impressive heroic figure of Neptune. The life size lead statue depicts the bearded figure standing over a dolphin and raising his trident as though to strike. 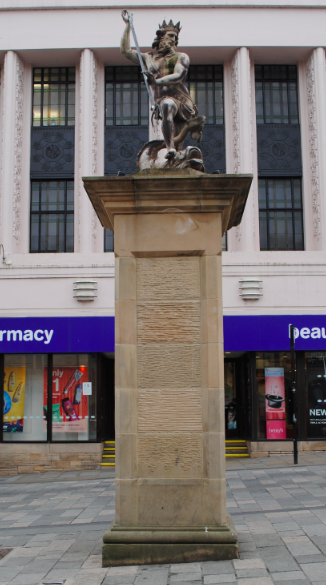 The beautiful sculpture is surmounted upon a corniced column of sandstone and now stands in its original site thanks to an appeal fund organised by the Durham Trust. The statue was originally given to the city in 1729 by George Bowes of Gibside and represents Durham’s link to the sea. The sculpture was restored in 1986 and following its move to Wharton Park, Neptune was returned to its current location in May 1991. In classical mythology Neptune was the Roman god identified with Poseidon. As one of the twelve Olympians (Iliad 15. 187-192), Neptune ruled over the waters (Metamorphoses 13. 854-858) and was originally a freshwater divinity who acquired his attributes from Greek mythology. The first historians, who wrote in Latin, were familiar with Greek mythology and many of the Roman legends are adaptations that stem from Greek myths. 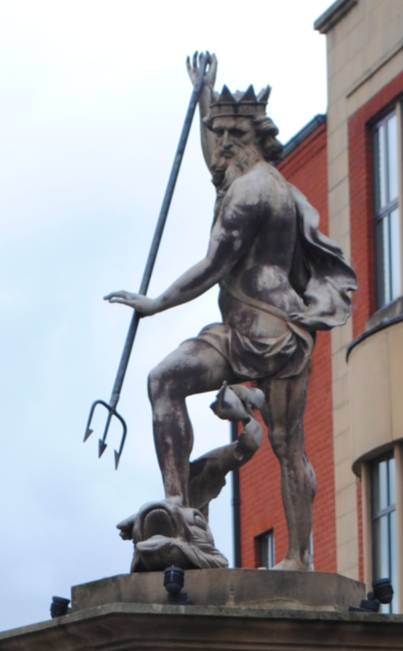 The Olympian Neptunus was equated with Poseidon, one of the twelve principle Roman gods, by the poet Ennius. Although the development of railway transport improved links with the city and the coast, Durham had aspired to be linked to the sea via the river Wear. As such, the personification of water was erected to symbolize Durham’s ambitions.